Research on long-term psychotherapy must, at this time, face the questions raised by short-term psychotherapy-research findings that indicate the fundamental role of non-specific factors in determining outcome. Is there anything specific in long-term psychotherapy that fosters improvement, other than the non-specific factors in short-term psychotherapy research so clearly and comprehensively outlined by Frank (1965, 1974, 1976)7 The search for an answer to this question by comparing alternative psychotherapy approaches to restricted, specific patient populations is expensive in time and requires enormous research resources, not to speak of the difficulties in setting up ‘no treatment’ control groups over long-term time spans. The combination of process research and outcome research geared to evaluating the effects of specific interventions over a brief period of time, within the context of simultaneous long-term evaluation of specific psychotherapies, may offer one way to explore the effects of the therapist’s interventions specific to a particular model of psychotherapy and to differentiate such effects from the background of non-specific psychotherapy factors. Long-term psychotherapy models should provide detailed and specific definitions of their techniques, which would make such combined process and outcome studies possible. Naturalistic psychotherapy research with retrospective definitions of techniques that would seem to differentiate them may no longer be a viable approach in psychotherapy research. By the same token, long-term psychotherapy models should provide convincing answers to the question of what differentiates their technique from ordinary common sense and a generally humanistic, encouraging, accepting, concerned and hope-inducing attitude on the part of the therapist—all of which characterize all effective psychotherapies. broader patient population (see Kernberg 1984). What I am attempting is, in other words, an illustration of the proposed general method of describing the theory underlying a specific technique of psychotherapy, and that technique itself—implicitly differentiating it from the non-specific effects of psychotherapy. Let me define as briefly as possible my theoretical frame within psychoanalysis and relate it to my technical approach to patients—both within standard psychoanalysis and within modified psychoanalytic psychotherapy for patients with borderline personality organization. At the risk of over-simplifying the issues, I shall attempt to define my theoretical frame by comparing it with two alternative approaches that may be construed as polar opposites within the broad spectrum of psychoanalytic theorizing. My views occupy a middle zone within the spectrum delimited by these polarities. One pole of psychoanalytic theory is constituted by what might be called traditional ego psychology and centers around the concepts of drive theory, the structural model and unconscious intrapsychic conflicts expressed in impulse and defense. The second theoretical frame of reference, at an opposite polar point of this spectrum, is psychoanalytic object relations theory of the interpersonal or culturalist orientation. The third, intermediary, viewpoint represented by my approach I have called an ego psychology-object relations approach. How do these three psychoanalytic approaches differ in regard to their basic theory of motivation, their theory of intrapsychic structure and their theory of psychoanalytic technique? The principal representatives of this approach are Hartmann, Kris and Loewenstein (Hartmann 1964; Hartmann, Kris and Loewenstein 1964; Rapaport 1960, 1967). Their current leading exponents are Arlow and Brenner (1964). This approach stems directly from Freud’s (1915a,b, 1923, 1926) metapsychology, particularly his structural theory and his dual drive theory as the basic motivational system. This theoretical frame postulates that the biologically determined drives, libido and aggression, are represented by instinctual impulses that are located in the id, attach themselves to objects and enter into conflicts with the ego, which is the organ of adaptation to reality, the seat of defense mechanisms directed against these instinctual impulses. The mutual relationships of the ego and the id and, later on, those involving the superego as well, determine various outcomes to the unconscious intrapsychic conflicts between instinctual drive derivatives and defensive operations, namely impulse-defense compromise formations expressed in symptom formation. The structural model of this theoretical approach is represented by the tripartite intrapsychic structure of ego, superego and id. The vicissitudes of impulse-defense configurations are predominantly expressed as intersystemic conflicts involving these three psychic agencies and external reality. The Oedipus complex is the dominant conflictual constellation that reflects the culmination of the development of sexual and aggressive drives and is crucially involved in the setting up of the superego as an intrapsychic structure as well. Clinically speaking, all impulse-defense configurations involve specific unconscious wishes that reflect sexual and aggressive drive derivatives embedded in concrete, unconscious fantasies relating to the oedipal objects. These object relations are understood in terms of their investment by sexual and aggressive drive derivatives and the vicissitudes of these drive derivatives, including fixation, regression and progression along various developmental lines and fusion of these drives. The central technical approach based upon this theoretical view consists of the systematic analysis of impulse-defense configurations, mostly, but not exclusively, in the transference. It is assumed that the interpretation of defenses will permit an increasingly direct and undistorted emergence of instinctual impulses into the conscious ego and the gradual replacement of defended-against instinctual pressures from the id by the expansion of the ego as it modifies and integrates these infantile instinctual needs in the light of the ego’s adult development and capabilities. Implicit in this theoretical approach is the assumption that, for patients who have not achieved an integrated tripartite intrapsychic structure and who have not been able to progress to the dominance of oedipal conflicts, psychoanalysis is probably contra-indicated or requires modification. To the contrary, in all analyzable patients the dominance of oedipal conflicts and the consolidation of the tripartite structure may be assumed. The second theoretical frame of reference within psychoanalysis is what might be called interpersonal object relations theory, particularly as exemplified by the theories of Sullivan (1953,1962), Fairbairn (1952), Guntrip (1961,1968,1971) and Kohut (1971, 1977). Fairbairn, I should insert, qualifies for inclusion here only because of his theoretical approach to motivation. His structural theory and clinical approach is closer to the ego psychology-object relations frame. Kohut’s focus on the development of the self, in contrast to the stress on reciprocal interpersonal relations, differentiates him from the rest of this group. Otherwise, he fits the general characteristics of this approach remarkably well. Although important and sometimes even fundamental differences exist between these theoreticians, I think they share the following overall features of interpersonal object relations theory. All these theories focus on interpersonal relations from early infancy on as the central motivational system. The infant, the child and, later, the adult are motivated not by drives but by the search for good object relations, primarily with mother and secondarily with other parental objects, siblings and peers. The striving toward gratifying relations with others may be biologically determined but constitutes, in itself, the dominant motivational force. Whether psychic life is considered to be based on interpersonal relations (Sullivan), whether libido is essentially object seeking (Fairbairn) or whether the self consolidates in relation to satisfactory self-objects (Kohut), the search for loving relations with others and with their intrapsychic representatives is primary. Aggression is only secondary to the early, repeated frustration of these crucial needs. Psychic structure is determined by internalized object relations. Early internalized object relations undergo relatively little change over the years and are reactivated in later object relations—including transference developments—throughout life. The ego, superego and id are either organizations of internalized object relations or the very structuralization of a self supported and strengthened by a surrounding world of internalized objects. Object representations, or self-objects, are the crucial structures of the mind. The fundamental theory of technique within this approach involves the possibility of reactivation of past pathogenic object relations in the transference and their examination in the light of a new, current one with the analyst. 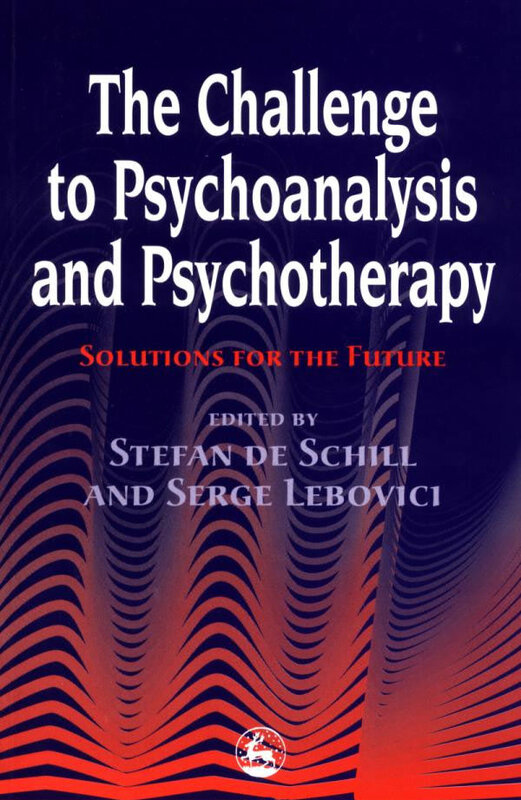 Psychoanalysis provides not only the opportunity for the analyst’s formulation of interpretations but, very centrally, for a new real relationship that offers a healing potential in the context of the analysis of the patient’s reactivation of past pathogenic object relations. Typically, within this approach, countertransference has a prominent role as an indicator not only of the patient’s past internalized object relations but of the functions and vicissitudes of the current object relation newly created in the analytic encounter as well. motivation, also belong to this group. Again, granted the enormous theoretical and technical differences among these theoreticians, I think they all have in common the following characteristics. Regarding their theory of motivation, they all adhere to Freud’s dual drive theory but consider drives indissolubly linked to object relations. The separation of source, aim and object of drives in traditional meta psychology is thus considered artificial. Drive derivatives are invested in object relations from infancy on and all instinctual manifestations are, by the same token, manifestations of specific relations between self and object under the impact of a certain drive derivative—typically, an affect state reflecting that drive in that interaction between self and object. My own theoretical formulation proposing that affects are the primary motivational system, and that affects, internalized as the affective frame of internalized object relations, are gradually organized into the drives of libido and aggression as hierarchically superordinate motivational systems, is a recent development within this overall approach, but the central position of affects as drive derivatives is common to this entire group. Regarding the concept of intrapsychic structure, this group agrees that the internalization of early dyadic relations with mother under the impact of libidinal and aggressive drive derivatives gives rise to dynamic relations between self and object representations that establish real and fantasied interactions between the self and the object. In other words, all internalizations are originally dyadic and the dyadic polarities of self and object representations under the impact of different affect states are the building blocks of what eventually will constitute the id, the ego and the superego. All these theoreticians stress pre-oedipal conflicts and their internalization within the object relations matrix and the condensation of intrapsychic representations of pre-oedipal conflicts with the object relations of the oedipal stage of development. projection of instinctual drive derivatives. In other words, there is a dynamic tension between the ‘here-and-now’ reflecting interpyshic structure and the ‘there-and-then’ unconscious genetic determinants derived from actual past developmental history. Within the ego psychology-object relations approach the structural characteristics of psychopathology are differentiated into those characteristics for patients suffering from psychotic, borderline and neurotic conditions, with variations in technique in the diagnosis and therapeutic management of reactivated object relations under such different structural preconditions. The management of transference and countertransference, within my own approach, may be summarized as follows. The consolidation of ego, superego and id in patients with neurotic personality organization brings about the activation, in the transference, of global characteristics of these structures and a gradual process of redissolution of these structures into their component internalized object relations. These are then manifest as successive transference paradigms. The analysis of sexual and aggressive drive derivatives occurs in the context of the analysis of the relations of the patient’s infantile self with significant parental objects as projected onto the analyst. In the case of borderline personality organization, intrapsychic conflicts are not predominantly repressed and, therefore, unconsciously dynamic but, rather, expressed in mutually dissociated ego states reflecting the defense mechanism of primitive dissociation or splitting. The activation of primitive object relations that predate the consolidation of ego, superego and id is manifest in the transference as the activation of apparently chaotic affect states, which are analyzed in a three-step procedure. As a first step, the temporarily dominant object relation activated in the transference and reflected in the dominant affect state is diagnosed and interpretively verbalized. As a second step, the self and the object representations of that self object-affect unit are diagnosed and traced as they are alternately enacted by the patient and projected onto the therapist. What is interpreted is the repeated reversal of roles carried out by patient and therapist, which provides the patient with the opportunity to integrate his temporary identifications with both the self and the object representation of that particular object relations unit. As a third step, contradictory units of internalized object relations built up under the respective dominance of affects of love and aggression are interpretively integrated, thus bringing about or restoring an integration of the self concept. The parallel restoration or integration of a total concept of significant others permits a more realistic reconstruction of pathogenic experiences from infancy and childhood. The therapist listening to the patient with an analytic attitude depends on two sources of information: first, what the patient says directly about his subjective experience as he speaks as freely as he can about what is going on in his mind and, second, what the patient communicates by means of his non-verbal behavior, including a use of language as a means of action—a direct expression of unconscious material and the defenses against it. Although all patients do express significant information by non-verbal means, the more severe the character pathology, the more non-verbal behavior predominates in the total communication. Under these conditions projective identification is usually employed as a defense in modeling the non-verbal aspects of the patient’s communication—diagnosable through the therapist’s alertness to the interpersonal implications of the patient’s behavior and to the activation in himself of powerful affective dispositions reflecting what is being projected onto him. As the therapist listens he must both submerge himself in the patient’s subjective experience by means of constant trial identifications with the patient’s subjective world and be alert to his own spontaneous emotional responses to the patient’s verbal and non-verbal behavior. In summary, within an ego psychology-object relations framework unconscious intrapsychic conflicts always involve conflicts between certain units of self and object representations under the impact of a determined drive derivative (clinically, as certain affect dispositions) and contradictory or opposing units of self and object representations and their respective affect dispositions reflecting the defensive structure. Unconscious intrapsychic conflicts are never simply between impulse and defense. Rather, the drive derivative finds expression through a certain primitive object relation and the defense, too, is reflected by a certain internalized object relation. At severe levels of psychopathology dissociative or splitting mechanisms stabilize such dynamic structures within an ego-id matrix and permit the contradictory aspects of these conflicts to remain, at least partially, in consciousness in the form of primitive transferences. The analysis of these primitive transferences is the central task in the psychoanalytic psychotherapy of borderline personality organization. To conclude, I have presented a particular psychoanalytic approach, spelled out how this theory is reflected in a theory of technique and outlined this technique as applied to the particular treatment of borderline personality organization. Erikson, E.H. (1950) ‘Growth and crises of the healthy personality’. In Identity and the Life Cycle. New York: International Universities Press. Erikson, E.H. (1956) ‘The problem of ego Identity’Journal of American Psychoanalytic Association, 4,56-121. Erikson, E.H. (1959) ‘Identity and the life cycle’. In Psychological Issues. New York: International Universities Press. Fairbairn, W.O. (1952) An Object-Relations Theory of the Personality. New York: Basic Books. Frank, J.D. (1965) Persuasion and Healing: A Comparative Study of Psychotherapy. Baltimore: Johns Hopkins Press. Frank, J.D. (1974) ‘Psychotherapy: the restoration of morale’. American Journal of Psychiatry, 131,271-274. Frank, J.D. (1976) ‘Psychotherapy and the sense of mastery’. In R.L. Spitzer and O.F. Klein (eds) Evaluation of Psychological Therapies. Baltimore: Johns Hopkins University Press. Freud, S. (1915a) ‘Repression’. In The Standard Edition of the Works of Sigmund Freud. London: Hogarth Press. Freud, S. (1915b) ‘The unconscious’. In The Standard Edition of the Works of Sigmund Freud. London: Hogarth Press. Freud, S. (1923) ‘The ego and the id’. In The Standard Edition of the Works of Sigmund Freud. London: Hogarth Press. Freud, S. (1926) ‘Inhibitions, symptoms and anxiety’. In The Standard Edition of the Works of Sigmund Freud. London: Hogarth Press. Guntrip, H. (1971) Psychoanalytic Theory, Therapy and the Self New York: Basic Books. Kernberg, A.F. (1975) Borderline Conditions and Pathological NarCissism. New Yark: Jason Aronson. Kernberg, A.F. (1976) Object Relations Theory and Clinical Psychoanalysis. New York: Jason Aronson. Kernberg, A.F. (1980) Internal World and External Reality: Object Relations Theory Applied. New York: Jason Aronson. Kernberg, A.F. (1984) Severe Personality Disorders: Psychotherapeutic Strategies. New Haven: Yale University Press. Kernberg, O.F., Burstein, E., Coyne, L., Appelbaum, A., Horwitz, L. and Voth, H. (1972) Psychotherapy and Psychoanalysis: Final Report of the Menninger Foundation’s Psychotherapy Research Project. Topeka, Kansas: Bulletin of the Menninger Clinic. Klein, M. (1945) ‘The Oedipus Complex in the light of early anxieties’. In Contributions to Psycho-Analysis 1921-1945. London: Hogarth Press. Klein, M. (1946) ‘Notes on some schizoid mechanisms’. In J. Riviere (ed) Developments in Psycho-Analysis. London: Hogarth Press. Klein, M. (1948) Contributions to Psycho-Analysis 1921-1945. London: Hogarth Press. Klein, M. (1952) ‘Some theoretical conclusions regarding the emotional life of the infant’. In J. Riviere (ed) Developments in Psycho-Analysis. London: Hogarth Press. Klein, M. (1957) Envy and Gratitude. New York: Basic Books. Mahler, M.S. (1971) ‘A study of the separation-individuation process and its possible application to borderline phenomena in the psychoanalytic situation’. Psychoanalytic Study of the Child, 26, 403–424. Mahler, M.S. (1972) ‘On the first three subphases of the separation-individuation process’. International Journal of Psychoanalysis, 53, 333-338. Mahler, M.S., Pine, F. and Bergman, A. (1975) The Psychological Birth of the Human Infant. New York: Basic Books. Rapaport, D. (1967) The Collected Papers of David Rapaport, ed. M. Gill. New York: Basic Books. Sandler, J. and Rosenblatt, R. (1962) ‘The concept of the Representational World’. Psychoanalytic Study of the ChZ/d, 17, 128-145. Sandler, J. and Sandler, A. (1978) ‘On the development of object relationships and affects’. International Journal of Psychoanalysis, 59, 285-296. Sullivan, H.S. (1962) Schizophrenia as a Human Process. New York: Norton. Winnicott, D.W. (1958) Collected Papers: Through Pediatrics to Psycho-Analysis. New York: Basic Books.